Hello hello – look at you, don’t you look awesome! Introducing The Wisteria Hotel, with new owners and a new look. An independently owned and operated establishment, The Wisteria hotel is designed as a home away from home. With 25 ensuite rooms ranging in size and character, there is something for everyone. Along with their new look and new launch, The Wisteria Hotel has opened The Hunters Bar and Kitchen. Hunters Bar offers honest, locally sourced and tasty food, prepared by their very talented chef, Neil Hornsby. The aim of this homely bar and kitchen is to show you some of the amazing products produced here in Rutland. 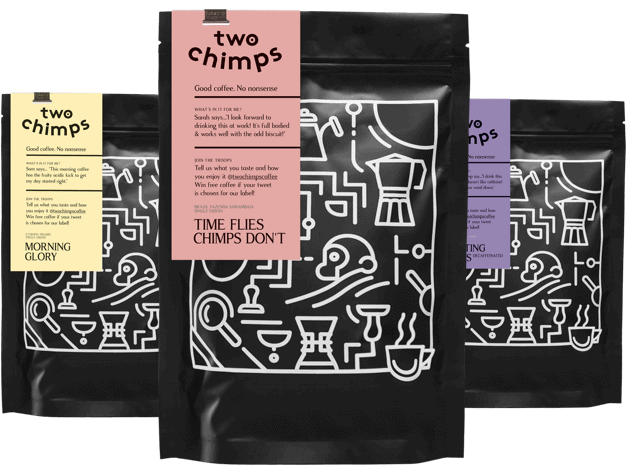 From Ale from The Grainstore Brewery, Spirits from Two Birds and….. locally roasted coffee from us at Two Chimps Coffee! The team have hand-picked their very own custom blend of speciality coffee which can be found in the cafetiere’s at breakfast time. The coffee blend at the Wisteria contains a bright and fruity lighter roast, teamed with a full-bodied roast for the punch you need in the mornings. Together, they make a smooth, refreshing, more-ish coffee to enjoy with your bacon and eggs at breakfast. There’s more! Oh yes, it gets better! You will also find freshly ground espresso coffee ready to make your favourite drink. The espresso coffee is a smooth, sweet and creamy coffee currently from El Salvador. All of our coffees are ethically sourced from small farms or single washing stations in each origin. This means that from time to time, our coffees will change. So, if you can’t think of a better reason to re-visit (and believe us, there are many!) just think of all the different coffees you could try! Throughout the daytime and evenings, decaffeinated coffee is also available either in a cafetiere or from the espresso machine. The process used to decaffeinate the coffee uses sparkling water. This creates a very tasty decaffeinated coffee – that still tastes like coffee. Here at Two Chimps Coffee, we freshly roast coffee every single week to ensure that you only have the freshest coffee at The Wisteria Hotel. Right then, popping to Oakham? See you at The Wisteria for a coffee! Can’t wait? Order coffee with free delivery now!